BAGUIO CITY – Local legislators agreed to discuss pertinent issues arising from the put up and eventual operation of the SM Sky Ranch project in an executive-legislative meeting with Mayor Mauricio G. Domogan and concerned department heads of the local government. The agreement was reached by the local legislators during their regular session last Monday while deciding to push through with the invitation of officials of concerned government agencies and stakeholders to shed light on the merit of having issued the permits for the project. Among the issues that cropped up during the hearing include the alleged enormous traffic congestion along the routes leading to the area, the proliferation of illegally parked motor vehicles along major roads around the mall, the noise emanating from the amusement rides which have greatly affected the concentration of students studying in government and private education institutions near the site, and the unabated disposal of sewerage waste. Local legislators also required the local government’s zoning officer to explain the arguments raised by some stakeholders that amusement centers like the Sky Ranch is not allowed to exist in low commercial zones similar to where the amusement rides are located. University of the Philippines College Baguio (UPCB) Chancellor Dr. Raymundo Rovillos and University of the Cordilleras (UC) vice president for administration Leonarda Aguinalde raised concerns regarding the traffic congestions and the noise emanating from the operation of the amusement rides that reportedly distract classes in their institutions aside from the obnoxious odor emanating from the mall’s sewerage treatment plant. Earlier, Mayor Domogan returned to the local legislative body separate resolutions requiring the project proponents to conduct the needed public consultations and for them to seek the endorsement of the local legislative body before the operation of the amusement rides considering that the project will be located in a private property and that appropriate documentary requirements were complied with that allowed the same to be completed and now operation for the public. Representatives from the Cordillera offices of the Department of Environment and Natural Resources (DENR-CAR) and Environmental Management Bureau (EMB-CAR) declared that the project proponents were able to comply with the stringent requirements imposed by the agencies pursuant to Department Administrative Order (DAO) 2014-005 that paved the way for the issuance of an amended environmental compliance certificate (ECC) for the put up of the SM Sky Ranch within its property. 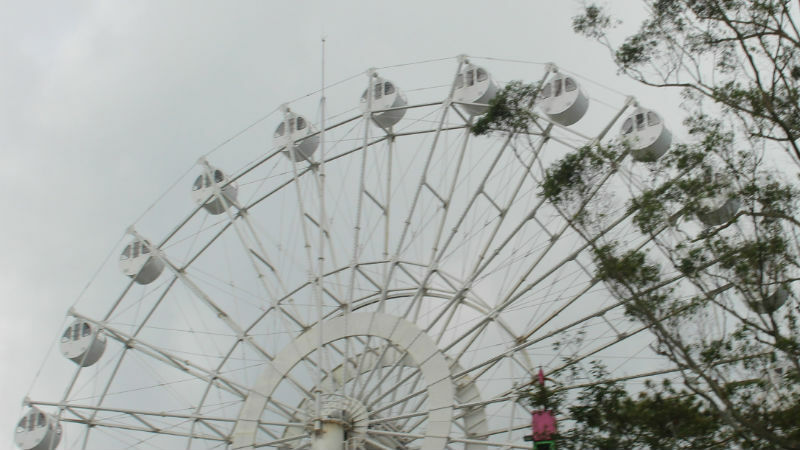 Despite the issues being raised by some members of the local legislative body, residents and visitors like continue to flock to the Sky Ranch area and enjoy the various amusement rides which is an added tourist destination in the city. The executive-legislative meeting will be scheduled anytime next week with inputs gathered by local legislators from the concerned department heads serving as added input to future hearings of the local legislative body.